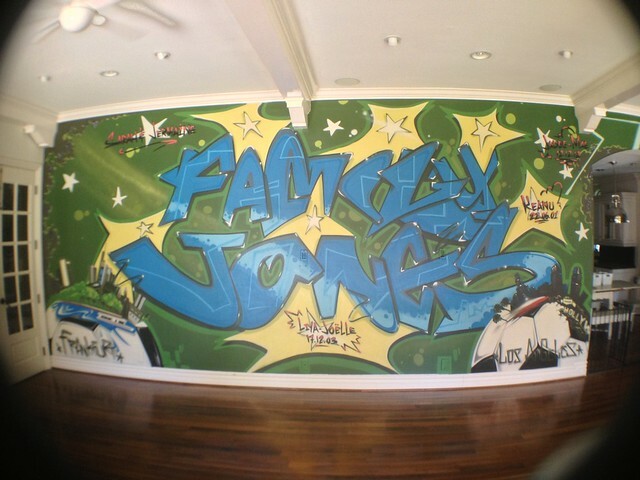 Here's a fun interior mural I recently painted at the LA residence of professional US soccer pro Jermaine Jones and his family. combination of both my loves: Graff and Soccer! Clean modern design and graffiti art...can't go wrong!